There are 2 cat videos tagged with dalmatian. 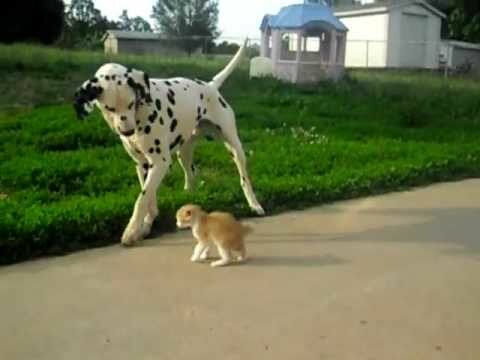 Diesel the Dalmatian dog makes friends with an adorable orange foster kitten. 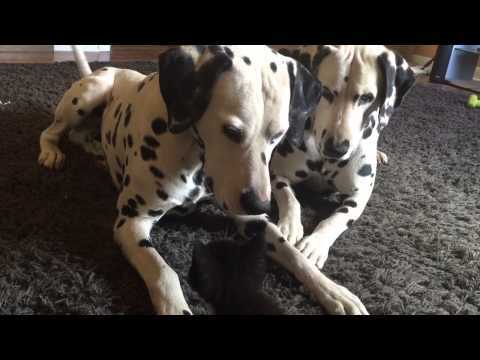 The dog's owners say that he loves every foster cat that comes to their house. So cute!